Gilbert, Ariz. (June 16, 2016) – The sun is shining, and temperatures are rising. Summer is right around the corner, and many people are pulling their grills out and prepping for the start of barbecue season. 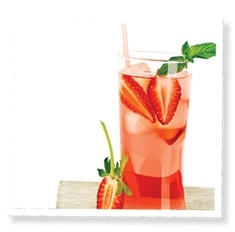 SweetLeaf® Stevia Sweetener is celebrating the season of fun in the sun with a few special mocktail/cocktail recipes sure to complement summer barbecues everywhere, with or without alcohol. Plus, with plenty of recipes on their website, SweetLeaf is the ideal source for tasty, award-winning, guilt-free treats all summer long. Place SweetLeaf in the bottom of a champagne flute. Add bitters. Pour in water or seltzer and mix well. Add ice and serve. Place strawberries in 10-oz. glass. Fill with ice and sparkling water. Add Chocolate Sweet Drops and stir. More sugar free drink recipes are available online, at www.SweetLeaf.com and on our Facebook page: www.facebook.com/sweetleafstevia. *Adequate hydration is shown to improve body and brain functions, and promotes beautiful skin. 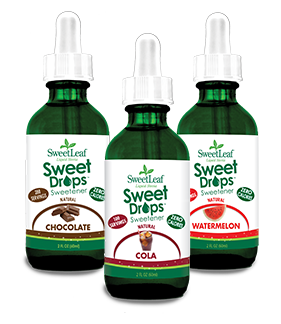 I was sent to try out out Sweet Leaf Sweet drops recently. Sweet Leaf can be used in your drinks and when baking. Its carb free, has no calories, no glycemic response, gluten free and it’s delicious. I gave a bottle of the peppermint mint drops to my husband to keep with him in his car to use in his coffee instead of sugar. Its a great substitute for sugar because it also gives it a good flavor. I was also sent a pumpkin spice flavor and it really smelled and tasted good. GILBERT, AZ (October 1, 2014) – With chilly autumn nights approaching, it’s time to curl up with your favorite fall drinks, like a pumpkin spice latte or hot peppermint cocoa. SweetLeaf® Liquid Stevia Sweet Drops™ allows everyone to create these seasonal favorites in a better-for-you way with Pumpkin Spice and Peppermint Mocha flavors. Sweet Drops™ are made with stevia, a natural sweetener created from the leaves of the stevia plant, and absolutely no artificial ingredients. 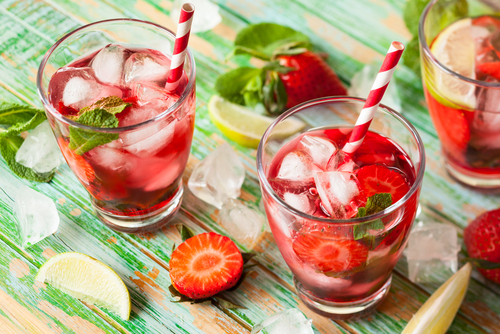 With SweetLeaf Stevia®, consumers can enjoy favorite beverages, desserts and more with no calories, no carbohydrates and no glycemic response. Be your own barista by making specialty SweetLeaf® infused drinks at home and work. Try adding a few drops of Pumpkin Spice or Peppermint Mocha Sweet Drops to your morning coffee or steamed milk for an easy treat, or for a cold twist, freeze coffee or espresso into cubes and blend with milk and Sweet Drops to replicate your favorite blended drinks. See more simple scrumptious recipes online atwww.SweetLeaf.com. Find the Pumpkin Spice and Peppermint Mocha Sweet Drops flavors only at www.ShopSweetLeaf.com. For more information about SweetLeaf, visit SweetLeaf.com.